Today is from this months new release Tractor, TUTTI-324. 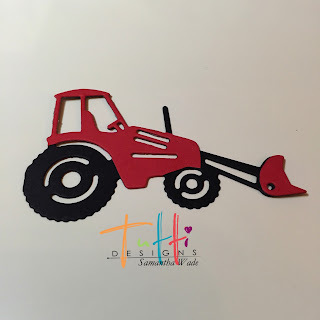 My Dad has a Red Tractor so perfect for him. The Tractor has been cut from black and red card. Parts of the tractor have been cut off to layer. 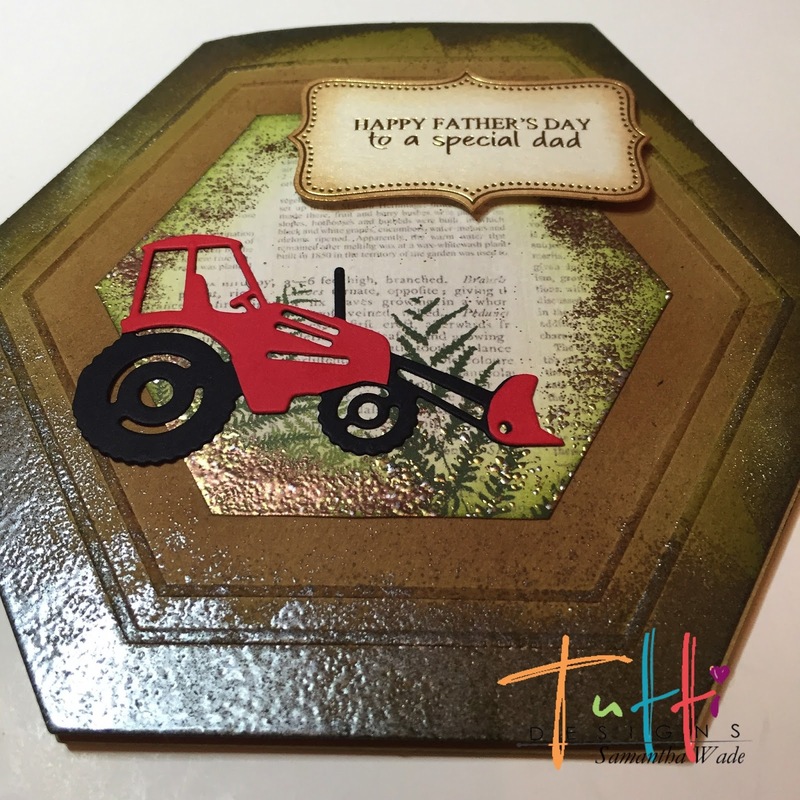 The kraft card base has been coloured with distress inks peeled paint and vintage photo, then an embossing ink wiped around the edges and embossing powder heat set, the same on the patterned hexagonal paper. 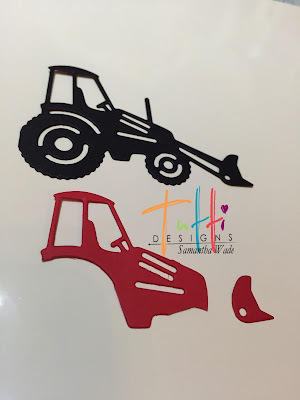 To finish, glue paper and tractor flat and 3D the sentiment. 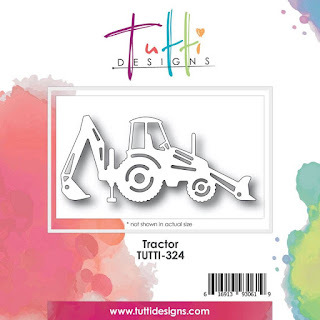 Tractors come in many colours so each card can look quite different. 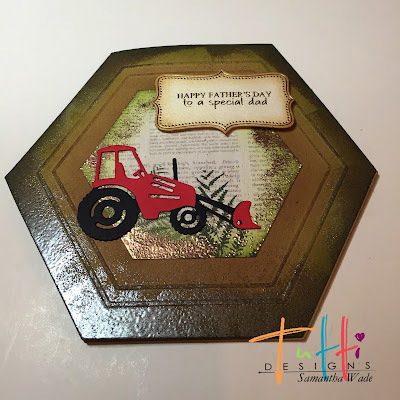 Love the layered look of that fun tractor, so cool your Dad has one too! 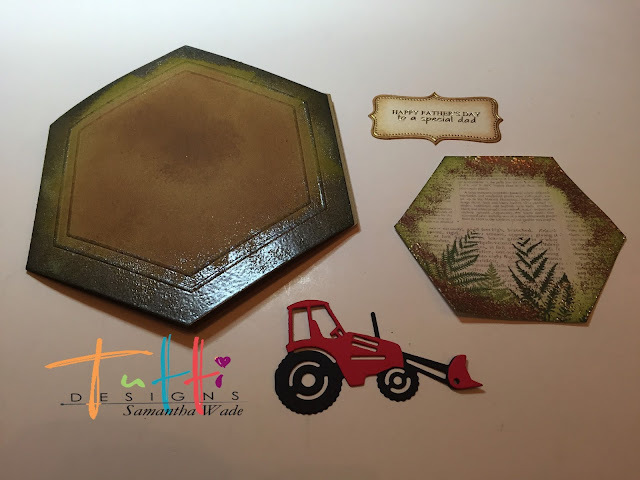 This is a great masculine design, love the hexagon shape! Your Dad will adore this! WOW this is awesome Samantha! How cool that Dad will really be able to relate to your creation ... and I love the shape ... very masculine and fabulous! 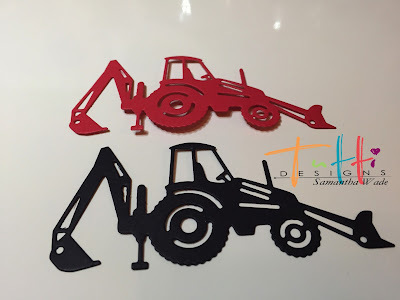 Great job and wonderful inspiration ... thanks!